If you've been following our blog in the past you'll know that I'm an avid fan of the Google My Business platform which is continuously giving businesses more real estate and innovative ways to capture users in the organic search space without all the SEO knowledge and efforts. Today Google has taken two of my favourite features and combined them into what I feel will become a staple marketing feature for many brands in the future. 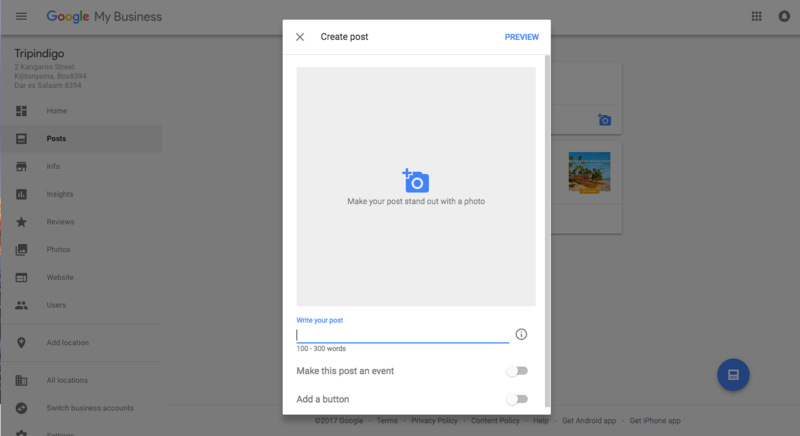 Combining Google Posts and Google My Business to allow users to post updates, offers and more directly into search is a feature to ignore at your own peril. Marketers can now create live posts that display and update in real time and are displayed for brand and brand related search terms. Having complete control over a small piece of search real estate related to your brand can make all the difference if used correctly. Requirements for a Google My business post? 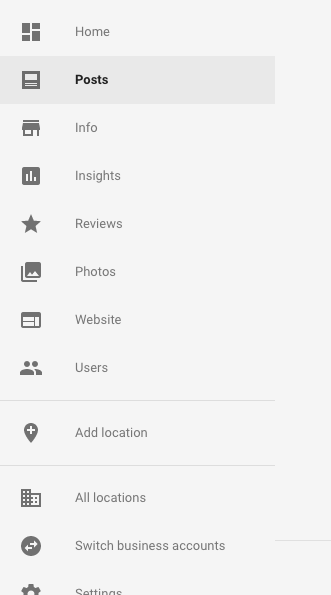 How to create a Google My business post? If you've used any social media platform like Facebook, Twitter or Google+ then creating a GMB post will be second nature to you. Simply log in to your Google my business profile. Click on the new "Posts" options available on the left navigation panel. If you're happy with the preview, then click publish and you're done. What does a Google My Business post look like? Once you've published your post it should render immediately for brand and brand related search terms and can be found within your local knowledge graph underneath your contact details. A GMP post for Tripindigo. 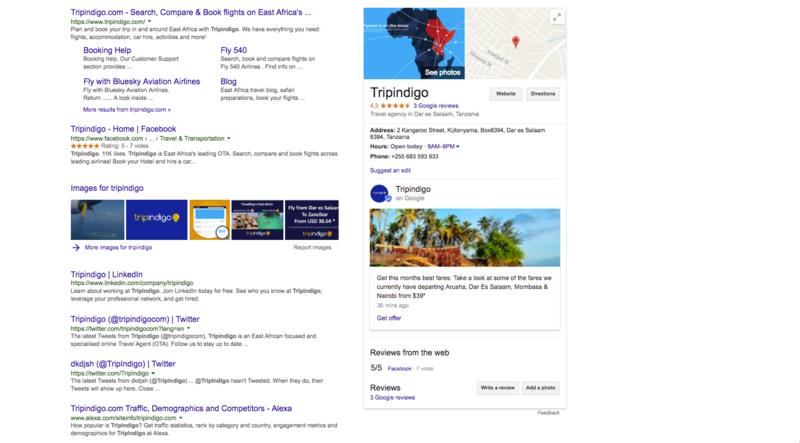 Note: To replicate this result google the brand term "Tripindigo"
Making sure your brand presence is as strong and as dominating as it possibly can be on both desktop and mobile search is extremely important as this forms the baseline for ORM. Making sure your search results are dynamic will not only improve click through but make sure no one is eating into your brand term impression share which is the case for many sites. I forsee Google My Business posts giving early adopting brands a distinct advantage and I recommend that it should be integrated into your merchandising tools and promotional efforts as quickly and as frequently as possible.